Indie Game: The Movie is a documentary that follows a superstar (ok, this term is pretty subjective) lineup of indie game developers of such games like Super Meat Boy (one of my top 3 favorite games of all time), Fez, and Braid. Actually all of the games covered in this documentary are huge personal favorites, but I’ll write up way more on each of these later on. Regardless, the documentary itself is an insightful look into the video game development process from a much smaller and more personal standpoint than the big budget releases of today. The movie itself is screening in various cities now, but will be available on DVD and BluRay June 12. 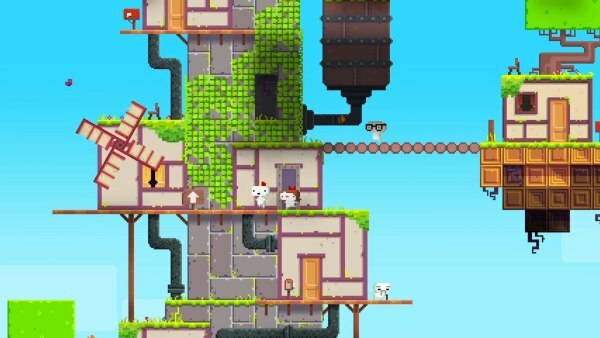 Check out a clip from the movie below that shows Fez developer, Phil Fish, stressing out over the game’s first reveal to the public.